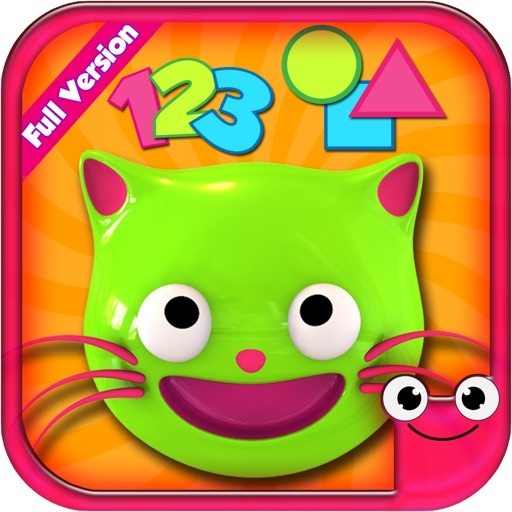 •3D Adorable Kitten Guides Children In Their Learning Process! 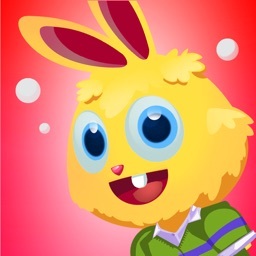 •HD Colorful Graphics, Amazing Music, Voice Over and Sound Effects! 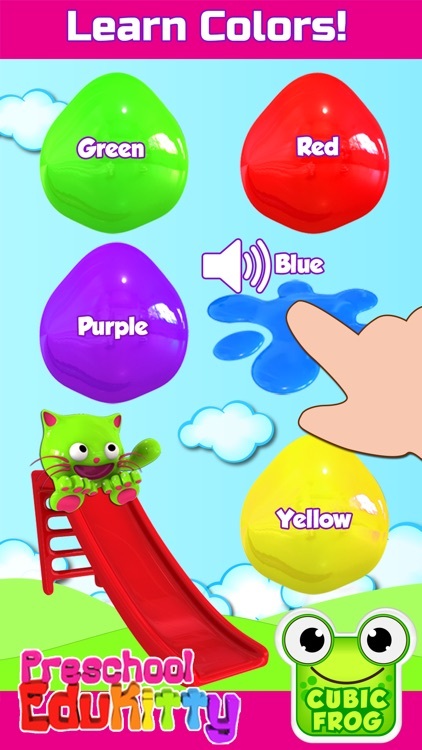 •Learn Colors- Kids learn colors and their names. 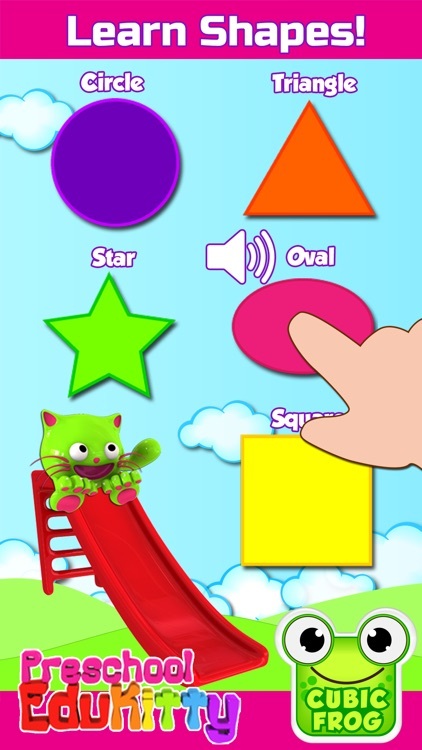 •Learn Geometric Shapes- Kids learn geometric shapes and their names. 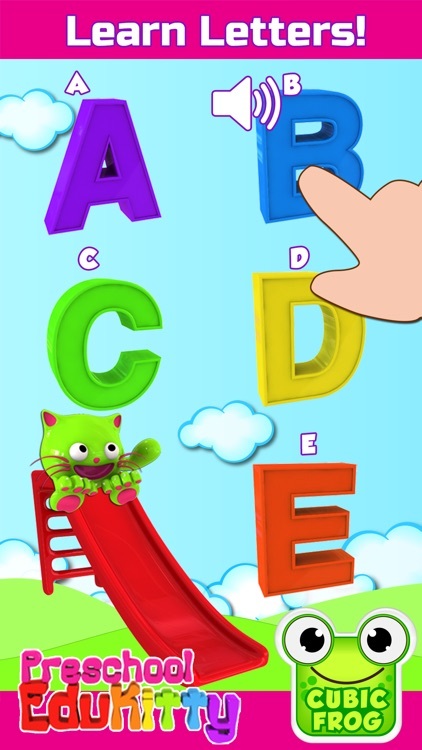 •Learn Alphabet Letters- Toddlers learn abc letters & letter sounds and letter names from A-Z. 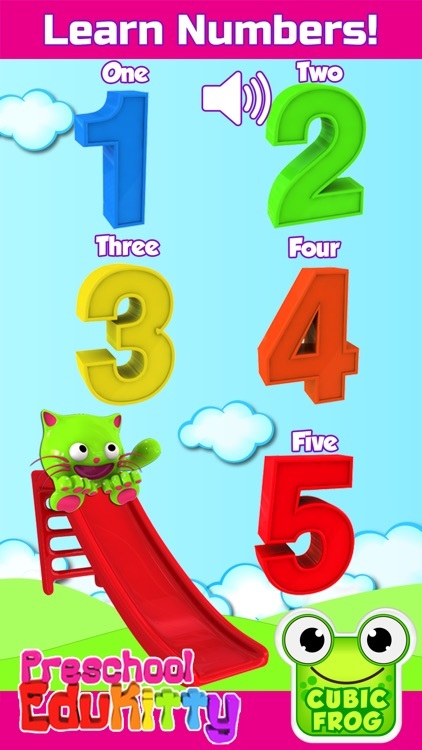 •Learn Numbers - Toddlers learn numbers & number names from 0-10. 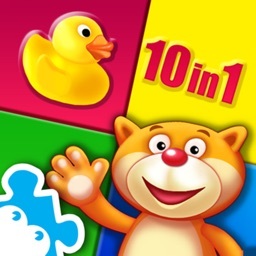 •Memory Match - Best memory game for kids with colorful images. 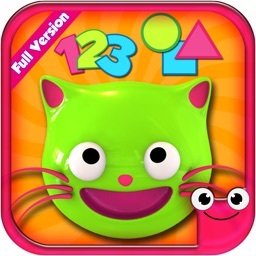 •Biggest/Smallest-Kids learn to find the biggest shape or smallest shape. 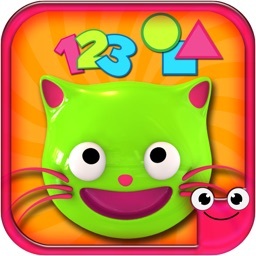 •Different -Kids will select the different shape. 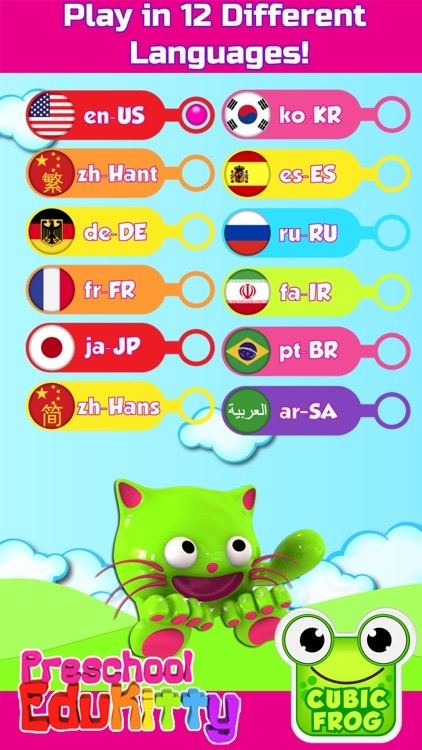 •Silhouettes Matching - Kids learn to recognize a shape & it’s silhouette. 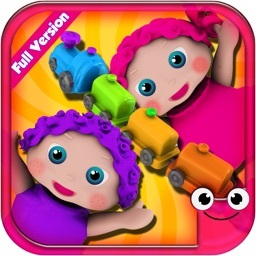 •Sounds Memory Match- Toddlers learn to match similar sounds. 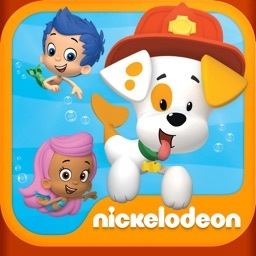 •Learn Directions- Toddlers learn right, left, up & down.